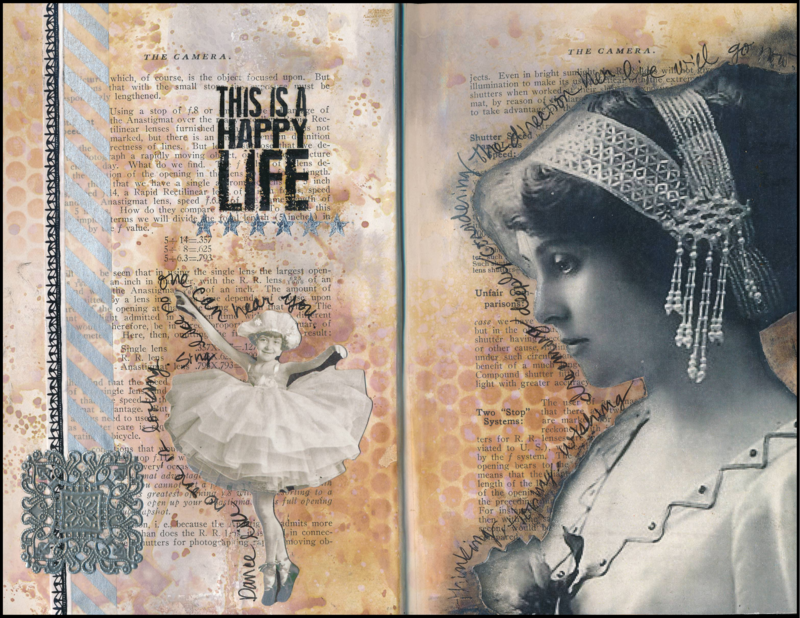 When I begin an art journal page, I often don’t know exactly how it will shape up. I begin by applying colour to the background (usually ink or paint), and then add layers until it feels “right”. This is an example of such a page. I made this background by splattering and applying Distress and Oxide inks through a stencil with a blending tool. The two found images were added, some washi tape, and a metal embellishment. “This is a Happy Life” and the silver stars are rub-ons. I used a micron pen to journal along the edge of the images. I don’t always know where I’m going with a page, but by “jumping in”, I can see where it leads me!